As the wind blows, the Wind Sphere orients itself into the wind via an electromechanical yaw system. The shroud then catches the wind, forcing it through the turbine. The turbine generator is connected directly to your business and as electricity is generated- your business is powered. If the wind isn't blowing your business is powered by the energy grid as usual. If the wind is blowing strongly then your energy produced can exceed your energy consumed and, depending on your local utility, your meter can spin backwards rolling back your energy bill. 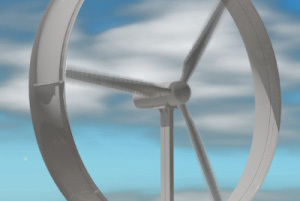 The Wind Sphere can operate at ambient wind speeds of as low as five miles per hour which helps keep a constant flow of power into the system. The patented shroud technology optimally funnels the wind toward the rotor. The airfoil design is optimized to take full advantage of the shroud and produce the maximum amount of kilowatt-hours (kWh). The rotor blades on the Wind Sphere™ are designed for maximum lift, efficiency and structural integrity. 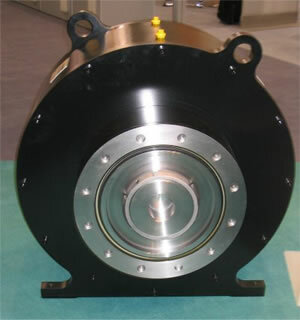 The aircraft-style braking system has two internal brakes for high winds and maintenance. The redundant braking system is internally monitored by the Wind Sphere's™ intelligent software that is tied to the Wind Sphere™ Remote Monitoring System. 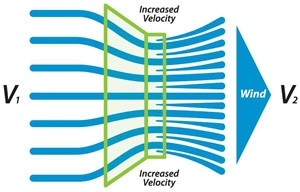 The Wind Sphere's™ grid-tie inverter system feeds energy of the same wave shape and frequency as supplied by the distribution system. 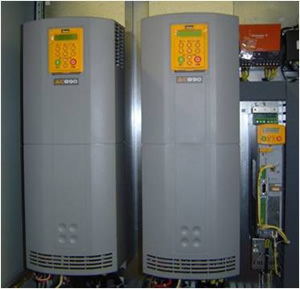 The inverter is IEEE 1547 compliant and UL 1741 certified. The yaw system moves the Wind Sphere™ into prevailing winds taking full advantage of your wind resource via our on board PLC and customized software. At wind speeds over 40 mph, the yaw system moves the Wind Sphere™ away from the prevailing winds and enables the braking system. 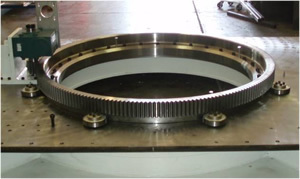 The uniquely designed bearing requires minimum lubrication and predictive maintenance. 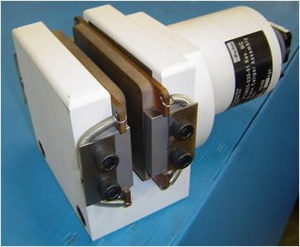 The permanent magnet 3-phase direct drive system eliminates the need for a gearbox. This lowers the cost of ownership since the gearbox is a major source of maintenance problems on conventional wind turbines. More uptime provides you with unmatched system performance. The touch screen located on the electrical box clearly indicates energy output and safety alerts. This information is easily accessible through the Wind Sphere™ Remote Monitoring System.